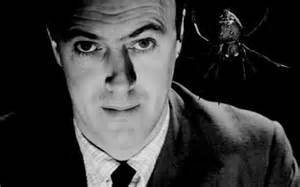 Yesterday, September the 13th 2016, Roald Dahl would have turned 100 years. Too much, even for someone whose imagination could equally inspire children worldwide and masters of suspense such as Alfred Hitchcock. Roald Dahl made something that is now quite fashionable in business talk, but that very few had done before him: thinking out of the box. Nothing in his literary universe was as expected, or as we had been told it was going to be. In Roald Dahl’s stories for children, but also in his short stories for adults, the unexpected was normal, the impossible became possible, losers became winners, and the whole reality became a huge playground where rules were not necessarily written, and certainly not by persons in charge. Children across the world read in Dahl books, some of us for the first time, that children could actually save parents, like Charlie did in Charlie the Champion of the World, that very intelligent little girls could use telekinesis to avoid being bullied, like Matilda, or that you can actually cross the Atlantic Ocean on a …peach, like 4-year-old James in James and the Giant Peach. The great thing about reading Roald Dahl’s stories as a child was not only that they were much less sugary than Enid Blyton’s, but they were, more importantly, politically incorrect: adults and teachers were not right just because they were adults or teachers, and, in that respect, Dahl was subversive, and funny. In adult stories, he gave another meaning to what in English we call “a twist in the tail”. No wonder Hitchcock used some of his ideas for his TV series. But Dahl’s life was a good screenplay in itself. And, typically of him, instead of writing a pompous autobiography telling adults where had he been and whom had he met, he wrote two books for children, Boy and Flying Solo in which he narrated his childhood and first years as an RAF pilot in Africa. Absolutely fascinating stuff. And so, when many men and women from my generation look back and think exactly at which point did we realise that another world was possible, that new rules could be coined, that our parents/teachers/bosses were not always right, we probably look back to our childhood years with long summer evenings and even longer winter nights spent in the company of all these subversive, radical, magical characters that Roald Dahl created for us and realise that, there and then, we were greatly inspired by this Welshman of Norwegian origins and great attitude.